When I wrote a season preview for St. Johnstone back in August, I finished with the following: "all good things come to an end...but not yet." The Saintees lie eighth in the Premiership, but they are as close to bottom spot as they are to sixth. Their impressive run of six straight top six finishes is in peril. But it is worse than that. They haven't won (or led in) any of their last eight home games. They have picked up just 12 points in 17 league matches since September. And last weekend their Scottish Cup run came to an end at Tynecastle. No shame in that, you might think, but the 3-0 defeat came along with a performance that was anathema to the St. Johnstone of recent years. A side for so long notoriously damned with faint praise as "organized", "hard-working", "difficult to break down" and other similar adjectives now look leaderless, unsure and bereft of confidence and ideas. Their league position is heavily distorted by their outstanding start to the season that was fuelled by the return on loan of Michael O'Halloran who not only rolled back the years to the performances he produced during his first spell in Perth, but seemed driven on by the desire to prove wrong those who had written him off at Ibrox. Unfortunately, his form dipped like the value of the pound during a Theresa May Brexit speech, leaving them woefully impotent in attack as the years finally seem to be catching up with veteran striker Steven Maclean and a succession of strike partners/replacements have failed to score more than the odd goal here and there. It's not like there's much being created either. The summer's big signing, Stefan Scougall, has struggled in an unfamiliar role out wide but so soft is the team's centre that he simply cannot be deployed in his preferred role there. Worst of all, the defence, once a byword for reliability, has completely cracked. The continued absence through injury of Brian Easton hasn't helped, but his replacement Scott Tanser has struggled while linchpin Steven Anderson appears to have been robbed of all his defensive knowledge by one of those memory-wiping devices from Men In Black. Anderson was relieved of the captaincy earlier in the season, but removing the metaphorical weight of the armband hasn't been made him literally less sluggish. Manager Tommy Wright's decision to take the responsibility away from Anderson so publicly seemed rather unbecoming, and a contrast to the 'hard but fair' persona that the Northern Irishman has displayed during his time in charge at McDiarmid Park. But Wright has not been himself this season. Whilst he has never been shy of criticizing players when necessary, he has hung the squad out to dry rather often this season. Whether that is a symptom of the current problems, or a cause of them, is unclear. He has also been known to have the odd moan to the media about a lack of transfer funds, but this campaign Wright has been a picture of petulance at times when it comes to the (lack of) backing he feels he gets from the hierarchy. That said, his transfer dealings of the last few years have not been an overwhelming success, a factor that has certainly contributed to the ongoing decline. His loud, public complaint about his chairman's refusal to pay for warm weather training during the January break was also surprising. Steve Brown played it down to the press, whilst also sticking to his usual narrative of how the first priority is to balance the books and run a tight ship. That's great when the manager and team are far beyond the sum of their parts, as they were when they finished third in the league in 2012/13 and won the Scottish Cup the following year. But when things are so bad that relegation becomes a genuine worry, then it doesn't wash. It does feel increasingly like there is a "mutual consent" on the horizon. St. Johnstone will probably stay up; after all they have more points than four teams, and they have games in hand. But the worry is that this is the start of a decline, one that fans of many other clubs should be wary of. There has been a power shift in Scottish football over the last few years. 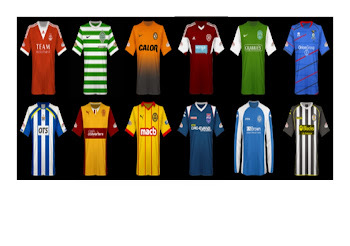 Prior to Rangers' liquidation in 2012, the top flight was a two horse race and third place was largely up for grabs. Now of course it is a one horse race, but whilst there is a chasm between Celtic and the chasing pack, Aberdeen (who got their house in order), Hearts (who got their house in order after administration and relegation), Hibs (who got their house in order after relegation) and Rangers (whose house isn't in order but still have remarkable resources at their disposal) are in a tier of their own. That leaves the rest with one top six spot to fight for. And there is very little between the remaining seven Premiership clubs, and indeed the sides at the top end of the Championship. So through a combination of factors such as injuries, loss of form, poor management, poor recruitment and stalwarts getting too old, a slide down the table can happen surprisingly quickly. Just ask Dundee United and Inverness Caledonian Thistle. St. Johnstone fans will themselves remember their relegation from the SPL in 2002, just a few years after they were playing Monaco in Europe. They spent seven years toiling in the second tier before they got back. Conversely, a club that has good luck with injuries, key players in form and a good manager who recruits well - say, Kilmarnock or Motherwell in the current instance - can move from relegation strugglers to a comfortable mid-table slot with ease. And the way that both have bounced so impressively under new management in the last year will not have gone unnoticed by other clubs at that end of the table. The short-term priority for St. Johnstone is now to make sure they are still in the top flight for 2018/19, and then re-evaluate. Whether Wright, for all his qualities and achievements, is the man to take them into the future remains to be seen, as does whether his relationship with his boss is reparable.